City-dwellers and apartment residents may not have access to spacious plots of land or flower beds but, that doesn’t mean dreams of sprouting seeds, home-grown vegetables and aromatic herbs are out of reach. Turn your deck or balcony into a full-fledged container garden- If you’re a beginner, these tips can help you get started. Is container gardening right for you? Take some time to walk around your apartment to observe which areas offer the most space and receive ample sunlight- both are crucial elements for success. Carefully pick and choose plant types that do well in small areas that restrict growth and don’t need a lot of sun, such as snake plants, English ivy, fiddle leaf figs and air plants. Determine what garden products you’ll need. Pick out pottery of various sizes depending on the plants of course, and most importantly, choose a top quality soil. Indoor plants cannot get nutrients found naturally in the outdoors, so it’s imperative they get the consistent nourishment they need by applying a proper fertilizer. An easy and cheap way to get acquainted with container gardening is to purchase an assortment of herbs, such as oregano, basil, cilantro, mint, rosemary and lavender. They can be planted in small pots and placed on windowsills to receive sunlight and add a bit of green flair to your abode. Better yet, many of these fresh herbs can be used used in everyday cooking or- they just make a space smell delicious! Lavender, rosemary and basil are well known for their sweet, earthy aromas. This gardening trend encourages apartment owners to think “up” in terms of maximizing space and sunlight on balconies and patio areas. Choose plants that can be trained to grow vertically by planting them in containers placed next to a trellis or ladder. You can even make your own vertical solutions out of recycled materials, with tons of ideas on Pinterest that feature wood pallets, fences and more. 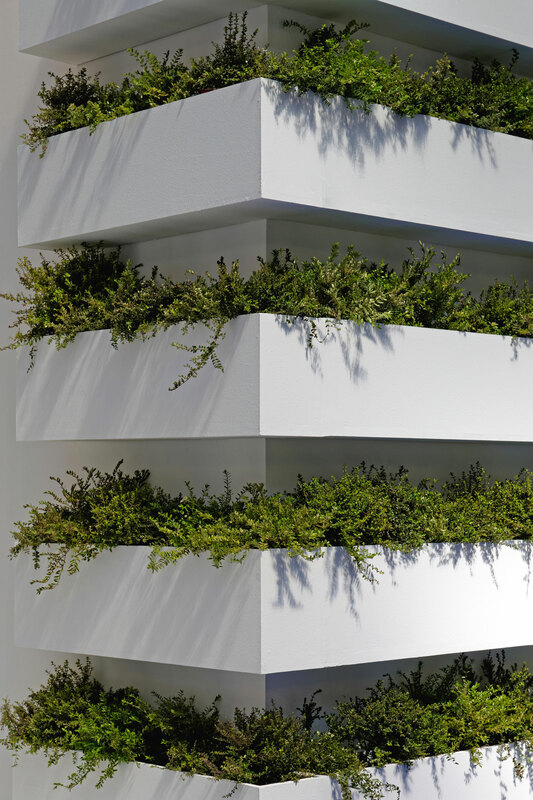 Tomatoes, cucumbers and sweet peas are all good options for vertical gardening.